Scratch is a project of the Lifelong Kindergarten Group at the Massachusetts Institute of Technology (MIT), and is used by millions of children around the world. Provided free of charge, Scratch helps young people learn to think creatively, reason systematically, and work collaboratively, which are essential skills for life in the 21st century. 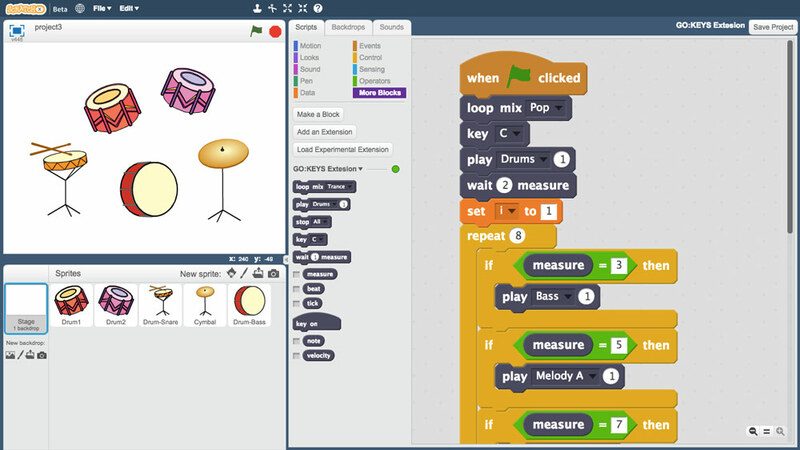 ScratchX is a browser-based platform for working with experimental extensions built by developers for Scratch. You can learn more about Scratch and ScratchX at the ScratchX website. To be used with ScratchX, GO:KEYS must be running System Program 1.20 or higher. The latest version is available at the GO:KEYS Downloads page. You also need the GO:KEYS ScratchX Extension. The extension and operating instructions are available at the GO:KEYS ScratchX Extension page. GO:KEYS is a fun portable keyboard with a built-in speaker system and over 500 pro-quality sounds. Onboard Bluetooth® allows you to wirelessly stream music from your smartphone or tablet, so you can play along with songs and all the free lesson content that’s available on the web. You’re also able to work with dedicated music apps, and easily create your own music with the cool Loop Mix function. Compact and battery-powered, you can take GO:KEYS with you and play whenever and wherever you like. 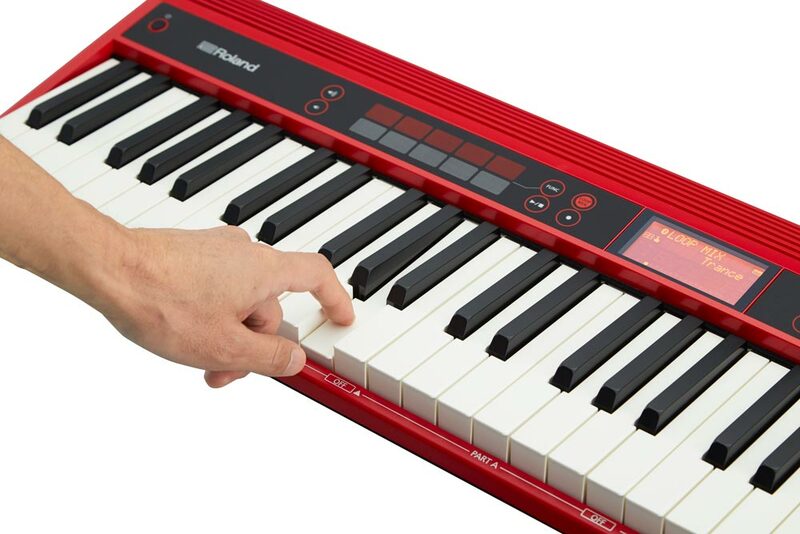 Learn more about GO:KEYS at the Roland website.